Personalized white & green 48” arc umbrellas are very hot, inspiring and elegant. This automatic open umbrella features metallic shaft with wooden handle, and high quality white & green nylon canopy. 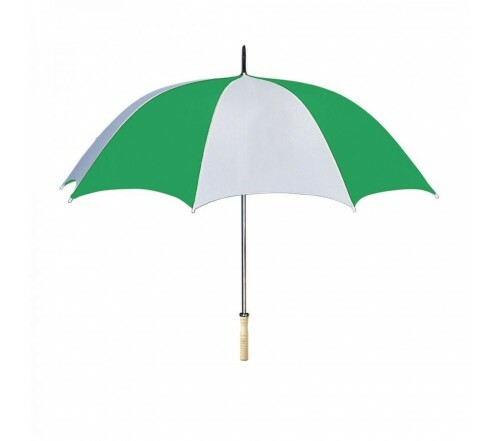 Promotional white & green 48” arc umbrellas are sought by green businesses, and healthcare marketers. It also makes a very favorable choice for sports marketers during sporting events such as golf matches or football matches. They can hand it as a complimentary gift along with purchases.